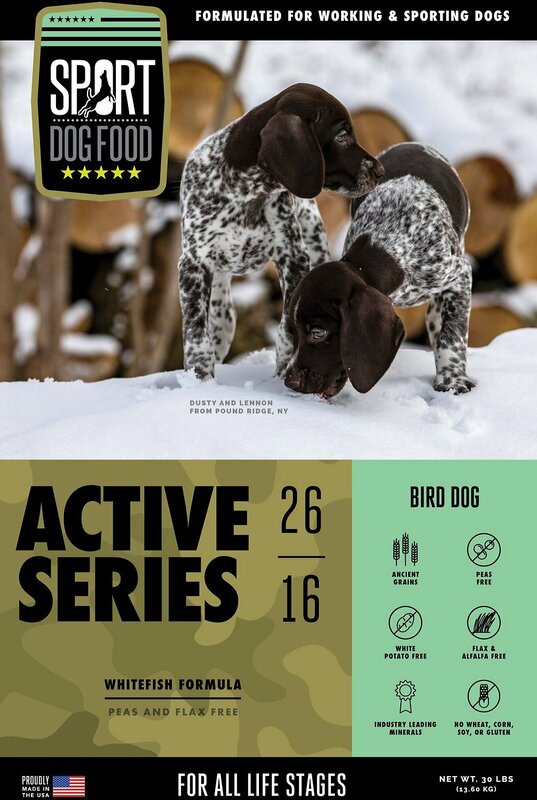 Give your doggie athlete the complete nutrition he needs with the Sport Dog Food Active Series Bird Dog Whitefish Formula Pea-Free Flax-Free Dry Dog Food. Formulated with one protein source and a balanced blend of fats and carbohydrates, it produces a complete diet for highly active dogs. 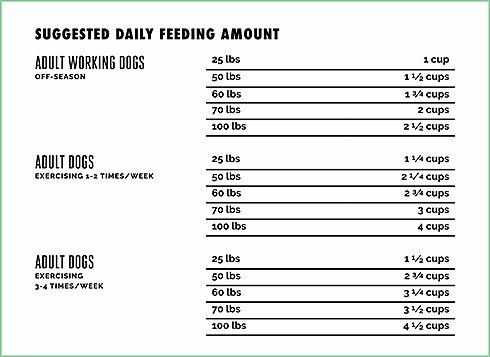 Sport Dog Food's pea-free formulas contain complete protein from low-ash animal sources, while keeping carbs low and fiber high. This meal is perfect even for pups with sensitivities since it has no artificial preservatives, flavors, fillers or by-products. Plus, it’s made in the USA with organic, American-sourced ingredients and never any corn, soy, eggs or egg product. It wasn't easy to exclude ingredients like peas, wheat, flax or white potato, but Sport Dog Food did it—all for the love of your dynamic pup. Whitefish Meal (29%), Whole Ground Sorghum (23%), Dried Sweet Potato (15%), Whole Grain Millet (13%), Chicken Fat (Preserved with Mixed Tocopherols) (11%), Ocean Fish Meal (3.25%), Natural Flavors, Salmon Oil, Monocalcium Phosphate, Calcium Propionate, Potassium Chloride, Yeast Culture (Probiotic), Chicory root, Zinc Amino Acid Complex, Iron Amino Acid Chelate, Manganese Amino Acids Chelate, Salt, Yucca Schidigera Extract (Probiotic), Vitamin E Supplement, Zinc Sulfate, Dried Cranberry Powder, Dried Blueberry Powder, Ferrous Sulfate, Copper Sulfate, Selenium Yeast (Probiotic), Niacin Supplement (Vitamin B3), D-Calcium Pantothenate (Vitamin B5), Vitamin A Supplement, Vitamin D3 Supplement, Riboflavin Supplement (Vitamin B2), Vitamin B 12 Supplement, Ethylenediamine Dihydriodide, Pyridoxine Hydrochloride (Vitamin B6), Biotin (Vitamin B8), Thiamine Mononitrate (Vitamin B1), Folic Acid, Copper Amino Acids Complex (Chelate), Green Tea Extract, Rosemary Extract, Dried Lactobacillus Acidophilus Fermentation Product (Probiotic), Dried Aspergillus Niger Fermentation Product (Probiotic), Dried Trichoderma Longibrachiatum Fermentation Product (Probiotic), Dried Bacillus subtilis fermentation Product (Probiotic). My Yorkies absolutely love this food, they eat every morsel as soon as it hits their bowl. 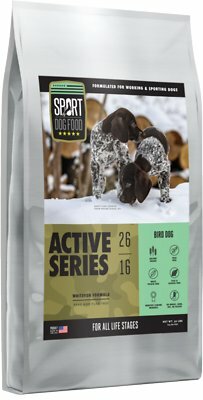 Ive struggled with finding a dog foid without phytoestrogens. After much research Soort Dog Food was the ONLY food i found with no flaxseed or peas. I started my breeding female on this food 4 months ago, until then she had 2 small litters of 2 pups and 1 pup. I truly felt her food was a big part of our issue. We just had our 1st litter since feeding this food and we have 5 healthy babies!!! 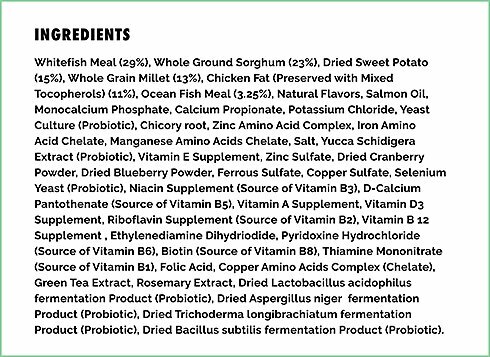 I can not say enough how much i appreciate the quality and ingredients of my babies food. Thank you and God Bless you Sport Dog Food family!!! I have many allergies to my people's chagrin. But of the few food elements I CAN have, this Sport Dog Food fits me to a "T". I really enjoy it immensely and it only has 1 ingredient that I'm not supposed to have but it is minimal. It is a tasty, healthy and hearty food that supports an active Lab like myself. Our 75 lb lab/shepherd/poodle/husky/wolfhound mix just turned one and is very active. He recently decided he no longer wanted his puppy food, so we were on the hunt for something quality that didn't have lentils and peas. We decided to try this one out after reading a lot of positive reviews on different sites. He scarfs it down and appears to be doing very well on it! Really glad Chewy carries this brand! We raise German Shepherds and our dogs love this food. We especially like it for our breeding girls, it isn't easy finding food without flax or legumes. We will continue to buy this even though we do wish it wasn't quite so pricey. Fantastic product. Delivery was quick and I'm very satisfied with both.